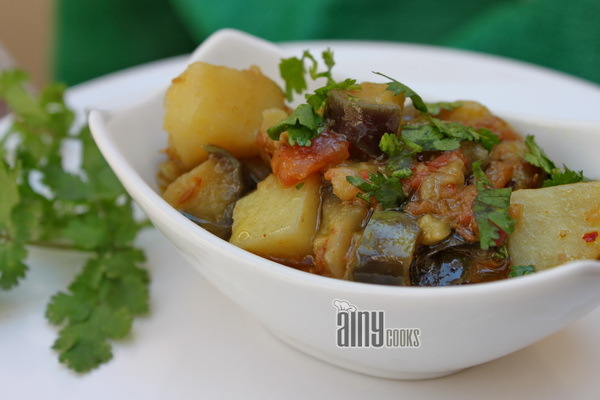 This recipe i have learned from a Punjabi family ,last year i have posted the recipe of BANGAN KA HANDI BHURTA now hope you will try this simple and tasty Aloo Bangan. Grind garlic or crush it. In a pan add oil and add cumin seeds. Let them crackle. Add garlic and stir for 5 minutes. Add chopped tomatoes. Fry tomatoes till soft then add salt, crushed chillies and salt, stir well. Add potatoes and fry for few minutes. Now add egg plant and crushed ginger. Add 1/4 cup water and cover with lid. 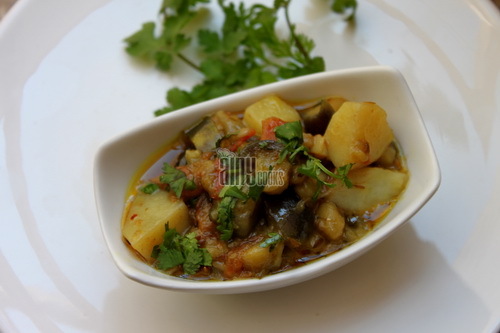 Cook till potato and egg plant tender. 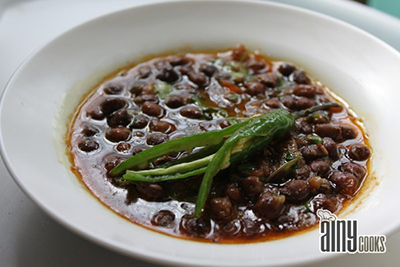 Sprinkle chopped coriander and all spice powder. I would like to know if you use the same garam masala that you have provided in this recipe and all the recipes that call for all spice? 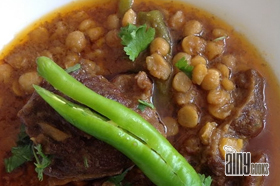 Do meat recipes and veg recipes use same garam masala? Garam masala / all spice powder is same in my all recipes. Rubi you can check the recipe of my home made gram masala powder also.